This Android tablet was released in May 2012 and is especially great for movie playback. Its bright display is very colorful (16M colors) while it’s protected by TouchWiz UX UI. On the negative side, this device only takes average pictures as the cameras are not very developed. Coming with a 16 GB and a 32 GB storage options, this tablet is highly appreciated by its users. If you are one of them, and have recently dealt with a couple of software problems, this article will be perfect for you. Focusing on issues such as freezes and fatal errors, today we’re going to show you what to do in order to regain functionality of a device that just makes your experience uneasy. The best solution for the Samsung Galaxy Tab 2 10.1 P5100 is doing a hard reset. This procedure is not going to do any damage to the tablet while it will efficiently restore it to factory settings. Before you proceed, it is important to check the version by going to Settings >> About the Phone. All details about this device are useful because not all methods work for all devices. Using the same Settings folder, you can also make a copy of the data so you don’t lose anything important. And because we care about this tablet’s features, you should know that it’s powered by Ice Cream Sandwich and can be upgraded to the Jelly Bean version. Also, the display measures 1280 x 800 pixels and has a 149 ppi pixels density. 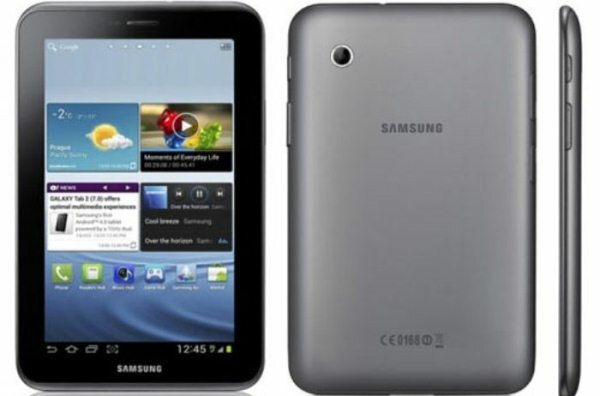 Using a dual-core 1 GHz processor and a PowerVR SGX54- GPU, the Samsung Galaxy Tab uses the TI OMAP 4430 as its chipset. It is also equipped with a non-removable Li-Ion 7000 mAh battery that allows for long periods of using the tablet without having to recharge. Thanks to this one, you are entitled to a maximum of 10 hours talk-time and as much as 2000 hours stand-by. Depending on whether you have access to the menu or not, there are two options that you could take advantage of. The first one is going to use the tablet’s settings in order to perform the factory restore. However, if you’re unable to use the touchscreen, we recommend turning the Samsung Galaxy Tab off before you try to perform any action. Go to the Settings folder and scroll down to Privacy or Backup & Reset, depending on the version of your device. Select Factory Data Reset, and then tap Reset Tablet. Read all additional warnings and press Delete All. Press Power (1) & Volume Down (2) and wait for the Samsung logo to appear on the screen. Release Power & keep holding Volume – while waiting for the Recovery Menu. Release that key & use Volume buttons to choose Wipe Data. Confirm with Power, and then choose Yes in the same way. Wait for the last screen to charge & select Reboot System Now.